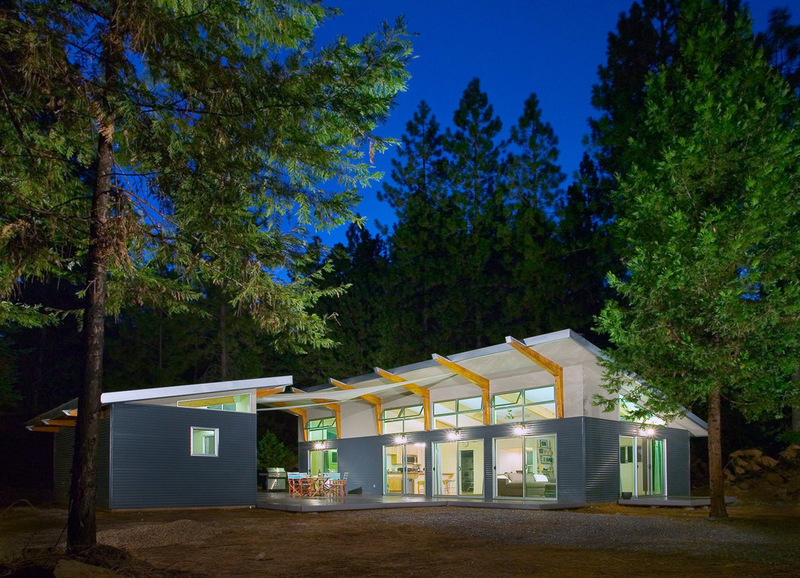 Designed by Michael Heacock and completed in 2004, the Pioneer Cabin is an 800 sf main house with a 200 sf guest room and bath. 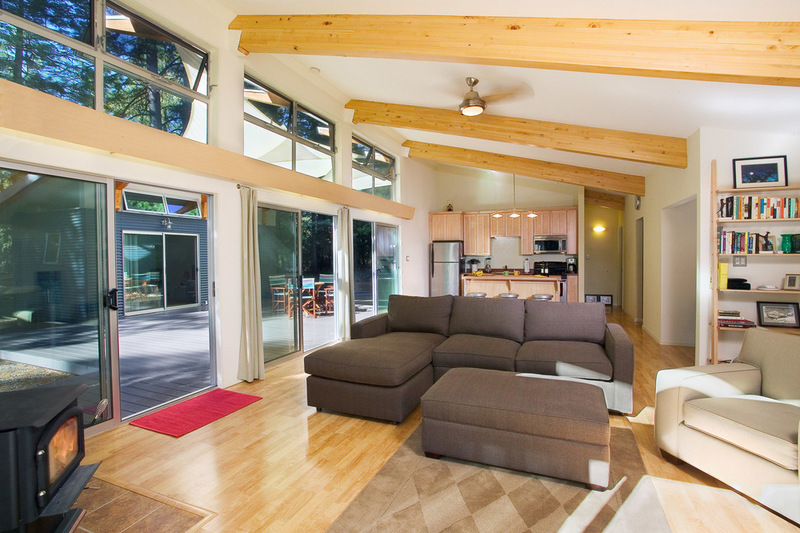 The weekend retreat is located in the Sierra Foothills between the town of Jackson and Kirkwood ski resort. Michael Heacock + Associates designed the cabin for a young San Francisco couple who enjoy an active lifestyle of snow boarding and fly fishing. The cabin is made of prefabricated Structural Insulated Panels (SIPs), which were made in Stockton and trucked up to the site for assembly. Unlike typical EPS panels, these SIP panels are composed of a polyurethane core and steel studs on each side, plus an exterior cement board finish. This remarkable structural panel is essentially fireproof and has no wood component. Additional green building features include passive cooling, instant fired water heaters, high performance glazing, and stretched fabric awnings to cool the breezeway.